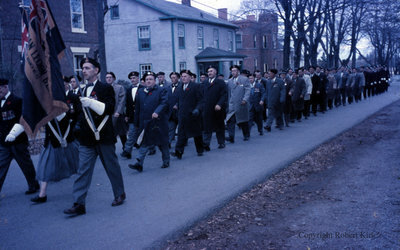 A colour photograph of the Remembrance Day procession walking west on Colborne Street. Remembrance Day, c.1968, Robert Kirk. Whitby Archives D2013_011_013.